Cats, dogs, tigers and bears have always featured heavily in picture books, but what about lesser-known and equally worthy animals? Let’s take a moment to celebrate picture books that feature our favourite unsung animals and rare beasts, some in their natural environments, and some far from home. 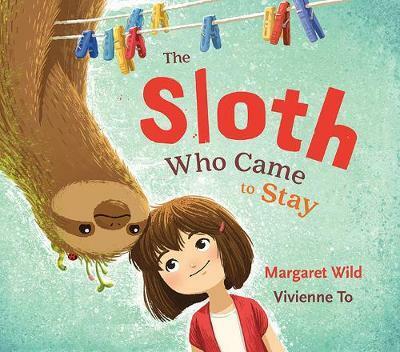 The Sloth Who Came to Stay by Margaret Wild & Vivienne To – A visiting sloth brings the slooooooow life to Amy’s speedy family, resulting in greater family togetherness and sharing. For ages 3 and up. I Love You Stick Insect by Chris Naylor-Ballesteros – Stick Insect has fallen madly in love, but his friends have their suspicions about his new paramour… Is Stick Insect only seeing what he wants to see? For ages 3 and up. Phasmid: Saving the Lord Howe Island Stick Insect by Rohan Cleave and Coral Tulloch– This gorgeous non-fiction picture book tells the fascinating story of the elusive and endangered Lord Howe Stick Insect, from the insect’s perspective. For ages 4 and up. My Friend Tertius by Corinne Fenton & Owen Swan – A young British intelligence officer living in Hong Kong is so attached to his beloved pet gibbon Tertius that he can’t leave him behind when war breaks out. For ages 5 and up. Neon Leon by Jane Clarke & Britta Teckentrup – Follow neon orange chameleon Leon around in this bright and interactive book as he searches for a place where he can blend in, just like all the other chameleons can. For ages 2 and up. Tilly’s Reef Adventure by Rhonda N. Garward – This vibrantly colourful lift-the-flap book follows a baby Green Turtle from sand to ocean to Great Barrier Reef, as she encounters other Australian sea creatures and unexpected dangers. For ages 4 and up. Room on Our Rock by Kate & Jol Temple & Terri Rose Baynton – Two seals are not keen to share their rock with another family of seals in distress, but the meaning of this innovative and compassionate story shifts when it is read backwards. For ages 3 and up. Piranhas Don’t Eat Bananas by Aaron Blabey – Brian the piranha cops a lot of flack for his love of fruit and veg in this rhyming, silly ode to scary little carnivorous fish with terrifying teeth. For ages 1 and up. Firefly Home by Jane Clarke & Britta Teckentrup – Florence the Firefly is led astray by the moon, a lit-up train and the many city lights… Can you help her find her way back to safety? For ages 1 and up. Mopoke by Philip Bunting - A mopoke is a delightfully squat bird, also known as a boobook or a tawny frogmouth. In the case of this picture book, the mopoke is also a master of transformation and disguise, leading to wonderful wordplay and silly pictures. For ages 1 and up. The Steves by Morag Hood – Two puffins, both unfortunately called Steve, end up in a comically escalating argument over ownership of their name in this bright and bold story. For ages 2 and up. Gary by Leila Rudge – Gary the homing pigeon can’t fly like his world-travelling racing pigeon friends, but his meticulous travel mementos eventually come into use on his very own unique adventure. For ages 3 and up. The Ugly Five by Julia Donaldson & Axel Scheffler – Meet five amazing and unique-looking savanna animals in this rhyming story about self-acceptance and family. For ages 3 and up. Once Upon a Small Rhinoceros by Meg McKinlay & Leila Rudge – A small rhinoceros experiences wanderlust and embarks in a homemade boat for adventures far away, returning to finally meet a kindred spirit in their own community. For ages 2 and up. Yellow Kayak by Nina Laden & Melissa Castrillon – A boy and his best giraffe friend sail on colourful and adventure-filled seas in this gorgeously-illustrated and evocative book with simple, poetic text. Don’t Wake the Dingo! by Sally Morgan & Sarah Boese – A dingo sleeps peacefully in a warm, dry cave as the other bush animals nervously enter for shelter from a storm in this gentle rhyming story about making new friends. Look out for a bonus wombat, possum, mudlark and numbat! For ages 2 and up. Meerkat Choir by Nicki Greenberg – The meerkat choirmaster won’t allow any other animals into his choir – but that doesn’t stop a procession of other animals from trying in this funny story with lots of speech bubbles. For ages 2 and up. Meerkat Mail by Emily Gravett – Family life is too crowded for Sunny the meerkat, so he leaves the Kalahari desert and sets off to visit his mongoose relatives, sending delightful postcards and letters back home. For ages 4 and up. Macca the Alpaca by Matt Cosgrove – Macca the alpaca wins over Harmer the bullying llama with his cheerfulness and affection in this adorable story with plenty of bounce and rhyme. For ages 2 and up. Yak and Dove by Kyo Maclear & Esme Shapiro – These three gently absurd short stories detail the lives of Himalayan best friends Yak and Dove as they have a falling out, try to replace each other and then make up. For ages 4 and up. Leaf by Sandra Dieckmann – A polar bear washes up in a forest, far from home, and the forest animals nervously watch as he collects leaves to make wings and fly home. For ages 3 and up. Not Quite Narwhal by Jessie Sima – Colourful pastel illustrations decorate this sweet story about Kelp, a sea unicorn, who must find a way to live between the two worlds of land and ocean. For ages 3 and up. There’s a Walrus in My Bed! by Ciara Flood – Flynn is about to spend his first night in his own big boy bed, but there’s a hitch – a demanding walrus has taken up residence in it! For ages 3 and up. Do Not Lick This Book by Idan Ben-Barak & Julian Frost – Meet some very charming cartoon microbes in this science-inspired picture book that uses scanning electron microscope images to show the reader some of the microorganisms that live on our bodies. For ages 4 and up. Leanne Hall is a children’s and YA specialist at Readings Kids. She also writes books for children and young adults.